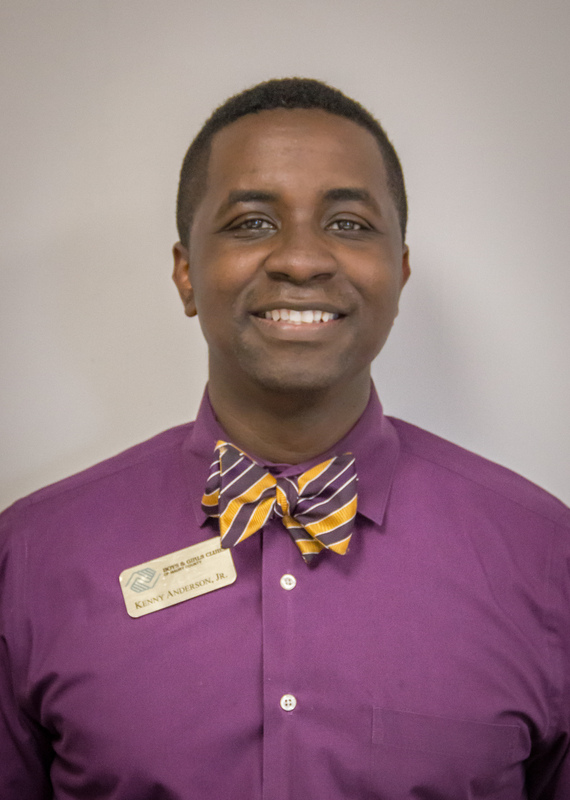 Kenny L Anderson Jr joined Boys & Girls Clubs of Maury County in June 2000 as a volunteer. Since then, he has served as a YDC, Unit Director (Wayne Street), and currently as Chief Academic Officer. Kenny’s goal is to take the Academic Success program at our Club to a higher level. Kenny is a graduate of Columbia Central High School. After a brief stint as a Recording Industry major, Kenny decided to pursue a degree in Education. He received his Associate’s degree from CSCC (2005), Bachelor’s degree from MTSU (2008), and his Master’s degree from Bethel University (2014). Kenny taught math and social studies at Mt. Pleasant Middle School of the Visual & Performing Arts for 7 years. In 2015, Kenny was voted building level Teacher of the Year by his fellow MPMSVPA teachers. While at MPMSVPA, Kenny oversaw an after school Math Club and Chess Club. He also used his musical skills and knowledge over the years to assist with the choir, dance, and middle/high school band programs. Kenny could also be found entertaining the crowd with music at home football and basketball games in addition to keeping the scorebooks for the volleyball team. Kenny also served 2 years as an assistant high school basketball coach for Hampshire Unit School under Todd Ashley (2014/15) and Jon Paul Jones (2015/16). Kenny enjoys attending plays at TPAC with his wife, Molly. Together they hope to continue this tradition with their children.